Sonya Harms knows maple syrup. She enrolled in the New Entry Business Planning course in 2010 in order to grow her vegetable farm and maple syrup business. While she is not growing vegetables commercially anymore – she took a break from vegetable farming to raise her family – she and her husband, Lucas, continue to operate their sugar bush in Colrain, Massachusetts, which produced 560 gallons of maple syrup last season and continues to yield more syrup each successive year. Sonya says that what she most appreciated learning from New Entry was that it taught her to think carefully about her market. Having worked for established CSA operations previously, but never owning her own business, this newfound ability to consider her market proved valuable. She had to decide how to structure her business: direct-to-consumer sales, or wholesale marketing? When asked whom she now considers her primary market, she says: “people who like really good food”. She describes the unique way they make their syrup: no reverse osmosis, no filter press, just a slow, steady process that they believe makes the syrup taste better – and her customers tend to agree! Most anywhere you find them, they will offer you samples of their different grades syrup. The flavors of each vary – Grade A medium amber has a “liquid candy” sweetness, Grade A dark is a little less sweet but a little more “maple”, and Grade B, a darker syrup, has a more robust maple flavor. In the end, their syrup is all high quality – the “best” comes down to personal taste. Since graduating from the New Entry course five years ago, Sonya and Lucas have been steadily growing their maple syrup business. They have managed to grow their markets in a sustainable way to match what they are able to produce. The Harms’ maple syrup is available at eight different farm stands in Eastern Massachusetts, grocery stores in Brookfield and Worcester, a bake shop in Worcester, and farmers markets in Lowell and Somerville. They sell their syrup at various craft and agricultural fairs around the state, and also have partnerships with a few CSA ventures – including World Peas, New Entry’s CSA! A complete list of their markets and retail locations can be found at their website, www.HarmsFarm.com. When asked what advice she has for new farmers or her fellow New Entry graduates, Sonya says that when choosing your crop or product, use enterprise budgets – another skill that New Entry helped her hone. While it can seem daunting to make an enterprise budget for several crops at once (as a vegetable farmer would), knowing how much it costs to produce your crop, whether it is saleable and how much you can expect to get for it is invaluable in developing a sustainable business plan. 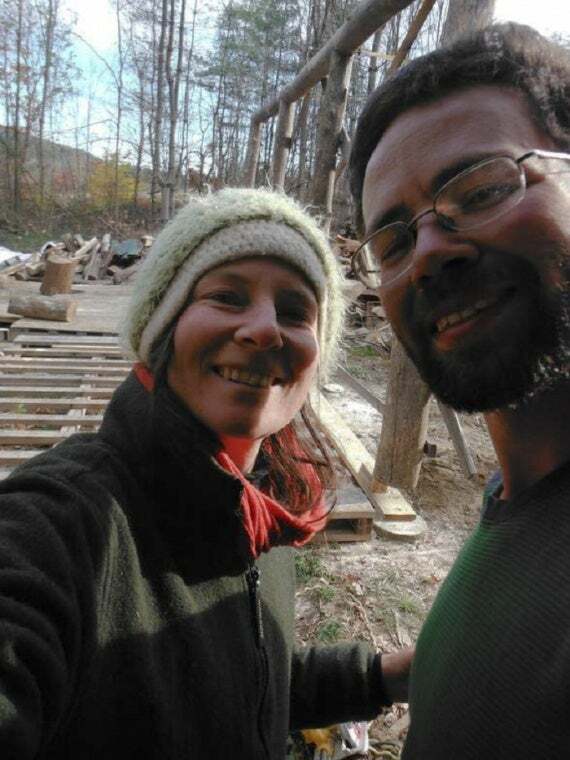 Although sugaring season in Massachusetts does not start until mid February, Sonya and Lucas are busy year round, building their sugar bush, working on their property and developing the infrastructure they need for a fully functioning, efficient maple syrup operation. Their goal is, ultimately, to increase their production to a point where the majority of their income comes from the maple syrup business. Sonya is grateful for the skills and concepts she learned from New Entry, which she continues to apply to her business today.